A downtown bowling alley is slated to be converted into a grocery store. Photo by Burl Rolett. 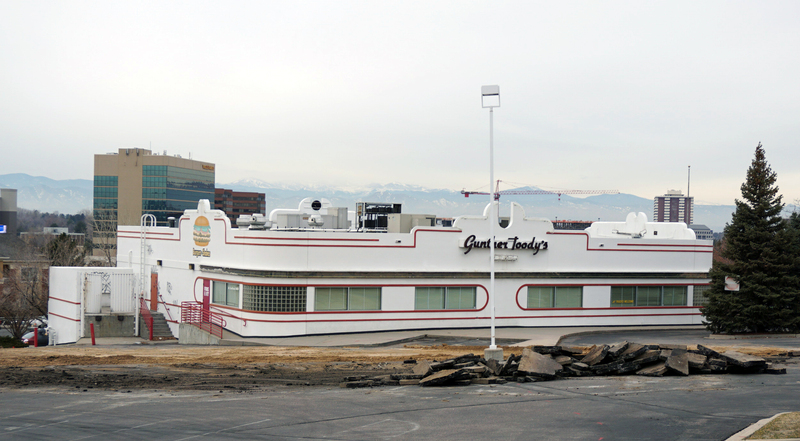 A Colorado grocer is supplementing its Denver footprint with two new projects at the sites of a longtime Denver bowling alley and a shuttered Glendale diner. Lakewood-based Natural Grocers plans to open a new store at the Elitch Lanes bowling alley on Tennyson Street, spokesman Trey Hall confirmed Monday. 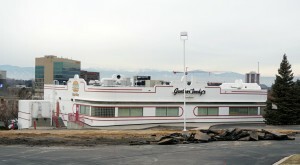 The grocer has also turned its eye to the former Gunther Toody’s restaurant at Alameda Avenue and Leetsdale Drive. Kansas-based Equity Ventures Commercial Development bought Elitch Lanes this month from Littleton Capital Partners for $4.37 million. McPherson said work is scheduled to begin on the building this spring, and he anticipates the grocery store will be moving in between September and October. 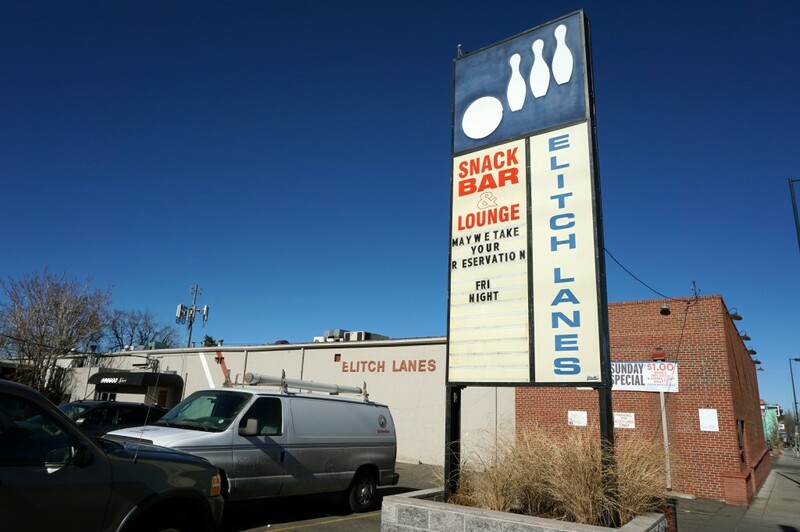 Elitch Lanes announced earlier this year that it would close after 63 years on Tennyson Street. The bowling alley’s owner Cal Eichinger is taking over management duties at Western Bowl in Arvada and will move the Elitch Lanes concept – name and all – to the Arvada bowling alley in May. Natural Grocer is eying the former Gunther Toody’s restaurant for a relocation. And Natural Grocers is working on another new store across town from Tennyson Street. The publicly traded company is planning to relocate its store at 5231 Leetsdale Drive to the former Gunther Toody’s restaurant at 4500 E. Alameda Ave. in Glendale. The grocer received site development plan approval in January for the former restaurant property, according to Glendale City Council minutes. David Mondavi, store manager at the Natural Grocers on Leetsdale Drive, said Oct. 15 is the planned opening date for the Alameda Avenue location. Hall did not respond to an email seeking comment on the company’s store on Leetsdale Drive. Natural Grocers plans to open 18 new stores in its 2015 fiscal year that runs from October 2014 to September 2015, according to its website. The Lakewood-based company had 91 stores in 15 states, including 33 in Colorado, as of last December and reported $520 million in sales for the 2014 fiscal year. Burl Rolett was a BusinessDen reporter who covered commercial real estate and the business of sports until 2017. He is a graduate of Washington and Lee University. Email him at [email protected]. 1 Comment on "Grocer eyes two fresh locations"
Vitamin Cottage has always been a terrific store including generally very cost-effective compared to it’s competitors particularly vitamins often priced 20% below others. Very sorry to see Elitch Lanes go away however VC will be an awesome addition to Northwest Denver for everyone! Thank you for making Northwest Denver an even greater place to live, VC!